Widely regarded as one of the best wing defenders to have ever played the game, Simone McKinnis OAM has an incredible game sense and knowledge of the sport. Captaining the Melbourne Phoenix to a premiership in the inaugural year of the Commonwealth Bank Trophy in 1997, McKinnis retired from elite netball as one of the greats of the game in 1998. An international career of 63 tests, McKinnis was a crucial part of Australia’s back-to-back World Cup victories in 1991 and 1995 and the inaugural netball gold medal at the Commonwealth Games in 1998. 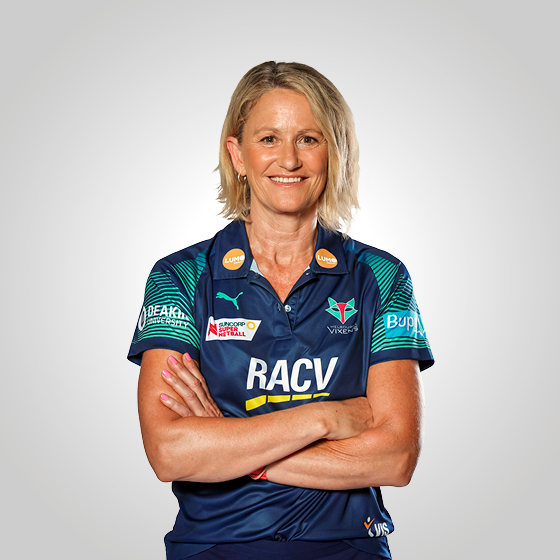 Following her playing career, McKinnis turned her sights to coaching, working at the Melbourne Phoenix, Australian Institute of Sport and Singapore Sports School Netball Academy, before finding her way to the Vixens in 2012 as a Specialist Coach. 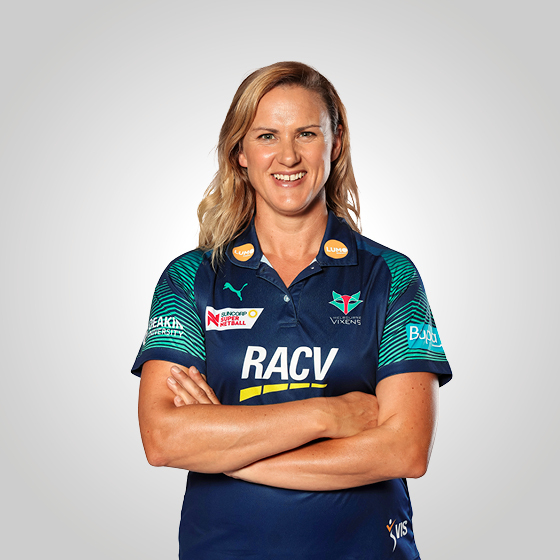 Since taking on the role as head coach in 2013, McKinnis guided the team to a Premiership in 2014, and has now assembled a strong cast of young Vixens players, who claimed the minor premiership in the inaugural season of the Suncorp Super Netball.